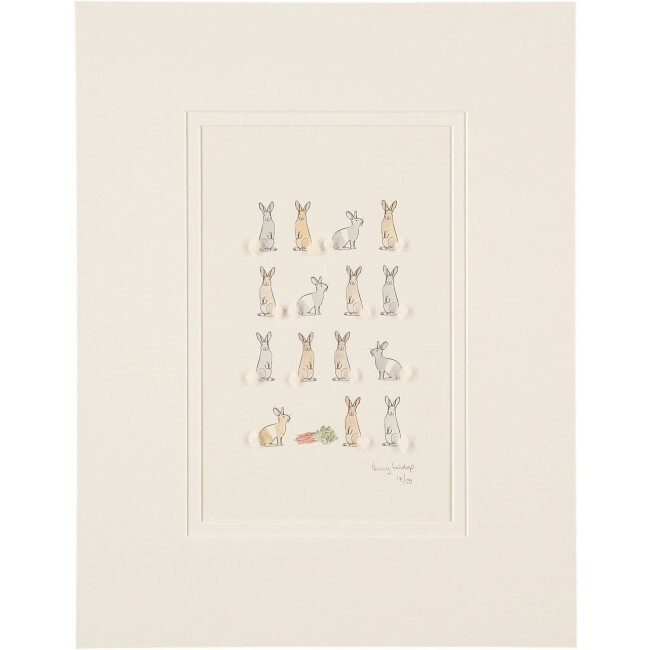 Our rabbits and carrots limited edition print is a lovely quirky design perfect for children and for those young at heart who love bunnies. 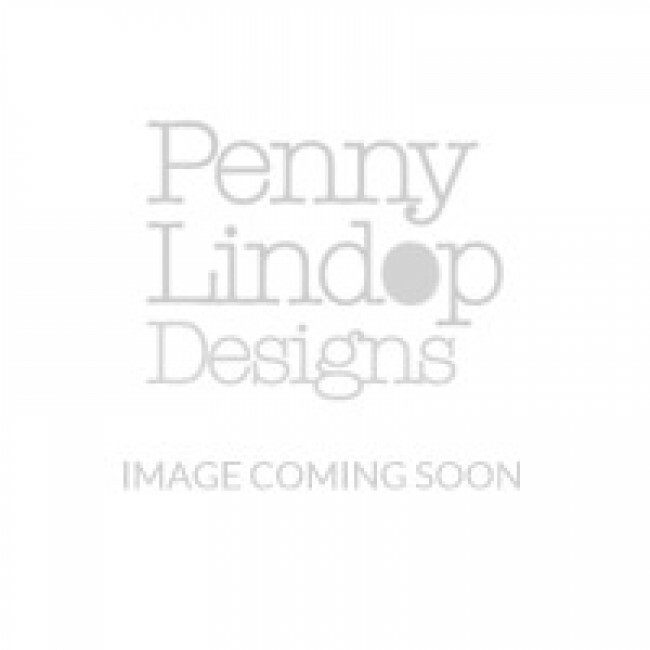 It is a perfect Christening gift for a young child, and a lovely print for a nursery. 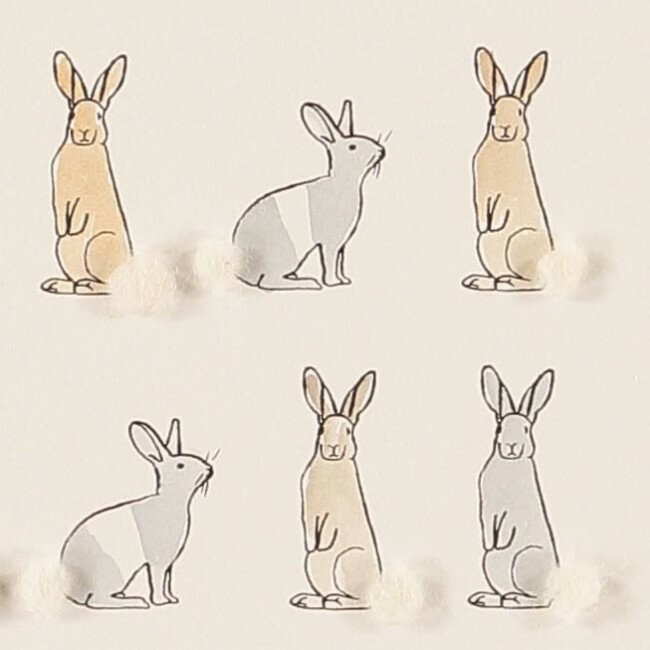 The bunnies are hand finished with little puffs of genuine sheep's wool for their bobtails. This is a print that a child will not grow out of, and could well become a family heirloom of the future. 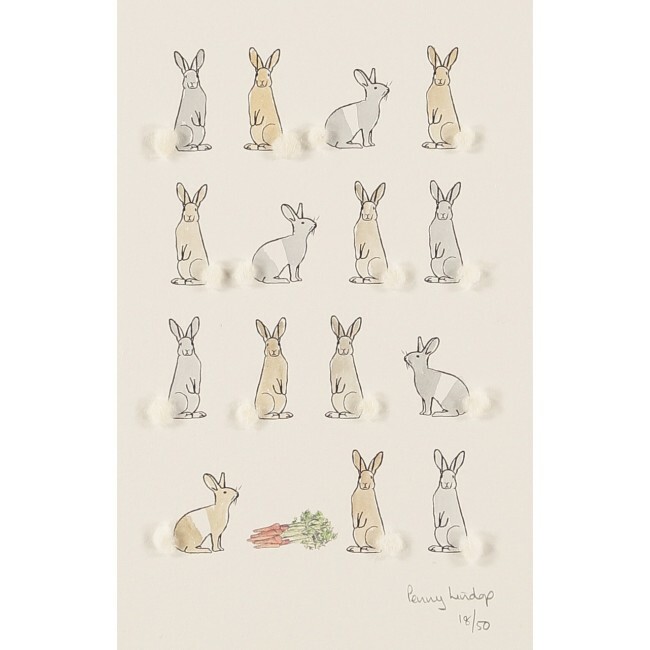 It's also a delightful gift for anyone who loves rabbits. Designed, printed and hand finished in our Norfolk studios.